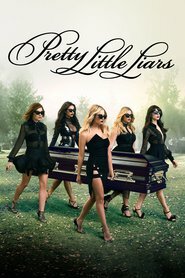 Grew Up… in Rosewood, with a mentally ill mother and a stepsister, Jenna, who blackmailed Toby into carrying out a clandestine relationship with her. Toby was always a loner, and the other students at Rosewood High always thought he was a freak. Living… on his own. Toby moved out of the family home because it was the only way to free himself from Jenna’s manipulations. Visiting… a reform school in Maine, after he took the blame for an accident that left Jenna blind in both eyes. Profession… construction work. He decided to leave school because he needed the money he could make from construction and carpentry to move out of his family’s home when he returned from reform school. After a year of being away from Jenna, he wanted to keep his distance once he returned to Rosewood. Relationship Status… dating Spencer Hastings. It seems an odd match because he’s the local loner and she’s the smart, Type A leader of her popular friends. Like any couple, Toby and Spencer have their relationship issues, but they’re always looking out for each other. Unless they’re competing in a particularly aggressive game of Scrabble, of course. Challenge… surviving in Rosewood without being accused of Alison DiLaurentis’ murder. It’s no secret that many townspeople would not be surprised to learn of Toby’s involvement in Alison’s disappearance. Even if it’s not true, the mysterious ‘A’ has a way of making any rumor seem real. Personality… shy, honest, and protective. Toby is often perceived as an outcast because he’s awkward and quiet around people he doesn’t know. In reality, he’s a good person to have on your side when something bad happens. He values communication and honesty, and he’ll do anything to protect the people he loves. Toby Cavanaugh's popularity ranking on CharacTour is #1099 out of 5,000+ characters. See our top-ranked characters and read their profiles.